Address Plate - - for home or business. Custom wall sign can be ordered with either a one line address (just the street number) or a two line address that includes the street number and a family or business name. Arch shape. Made in USA. 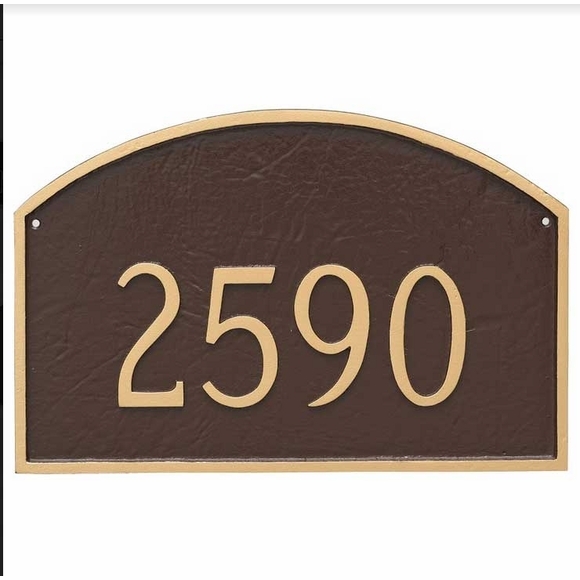 Displays the address number in large easy-to-see characters and comes in two sizes: standard 15.5"W x 10.25"H and large 21"W x 12"H.
Click top link in Related Products for the lawn mount version of this sign.